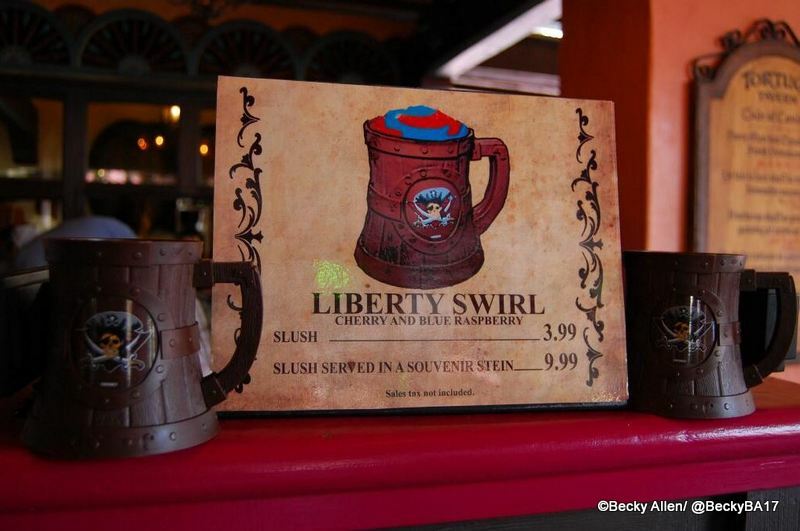 We’ve just heard from DFB reader Becky that the Liberty Swirl Slush is now available at Magic Kingdom’s Tortuga Tavern! 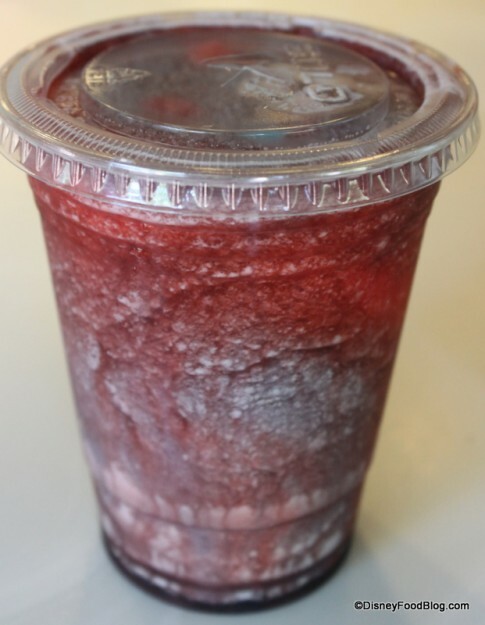 The swirled slush consists of cherry and blue raspberry slushes, artfully combined to make a patriotic statement! 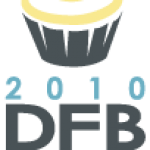 Or you can spring for a souvenir stein. At Tortuga Tavern, the stein features a Jolly Roger, complete with pirate hat and crossed swords! 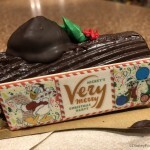 Before it became available at Tortuga Tavern, the only place to get this fan favorite was Sleepy Hollow Refreshments. Located in Liberty Square in the shadow of Cinderella Castle, Sleepy Hollow is known for serving up unique Disney eats and drinks. Their version of the Liberty Swirl Slush features strawberry and blue raspberry, making for a slightly different drink than this one. We’re thinking that the Liberty Swirl Slush made it over to Adventureland to mark Independence Week, part of Disney’s Limited Time Celebrations. There’s no telling how long you’ll be able to enjoy the Liberty Swirl Slush at Tortuga Tavern, which is usually only open during busy times in the parks. So if you’d like to quench your thirst with a pirate-sized stein of icy cold goodness, we suggest you hurry! 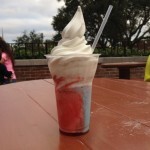 Will you be trying Tortuga Tavern’s version of the Liberty Swirl Slush? Leave a comment and let us know! It would be nice if this sticks around! I think I would like the cherry flavor more than the strawberry found at Sleepy Hollow. 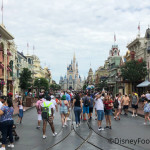 I recently tried the American Dream ice cream/slush drink at the Fife and Drum Tavern in Epcot, and remarked that it too might be a bit more flavorful with cherry slush instead of strawberry. Had one today, it was so hot and muggy out it was incredibly refreshing…I’m not sure if it was cherry or strawberry, I had the blue raspberry mixed in and mostly tasted the raspberry. The thing I saw first…Hey it’s the same souvenir stein as at Gaston’s! 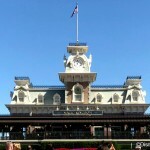 Only the stickers change… And one more economy for Disney haha! I hope it stays around. My kid would live taht cup, but we do not go during busy periods.